We are very pleased to inform you that the XI International Conference “Mining Techniques” TUR 2019 will be held from 17 to 20 September 2019, in the Hotel Mercure Krynica Zdroj Resort & Spa in Krynica, Poland. 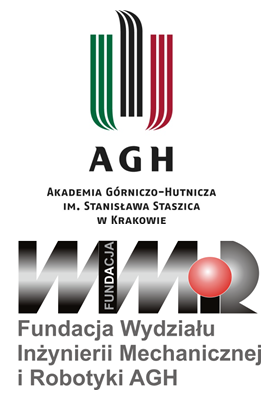 The conference is traditionally organized by the Department of Mining, Dressing and Transport Machines, AGH UST Krakow, in cooperation with the Foundation of Science and Mining Traditions. The patronage of the Conference has been covered by the Rector of AGH – Professor Tadeusz Słomka – and the President of the State Mining Authority in Katowice – Ph.D.,Eng. Adam Mirek. We would like to encourage you to actively participate in the Conference, guaranteeing a high scientific level and the ability to establish and expand contacts with partners from Poland and abroad. Hereby, we invite you to attend the Conference and submit papers. All qualified papers will be published as reviewed materials in a monograph, indexed in scientific databases of Web of Sciences and Scopus, as well as in the magazines of our media patrons. We also recommend the option to publish articles in the monograph, if you do not have the opportunity to participate in the conference. A schedule of key dates and information about the Conference will be sent at the beginning 2019. You can submit your participation and the proposed titles of papers today, by contacting persons mentioned below. For companies, we also recommend the option of advertising and promotional stands as well as placing promotional materials in conference publications.